This Week @ Twin Cities Church: Praying for God's work through us on Saturday! Praying for God's work through us on Saturday! Last Saturday we were able to bless hundreds of Nevada County families through Kidz Closet. As our county continues to lag in economic improvement, more and more families find themselves strapped financially. What an opportunity we have to be Jesus’ hands and feet as we get to bless others in such a tangible way. I am so grateful for Megan Lindsen, Roseann Hultquist and the 40 volunteers who banded together to make Kidz Closet such a huge success and bless 119 families. I am moved to the depths of my heart by your generosity and “others” attitude. You bless me as we bless others together. 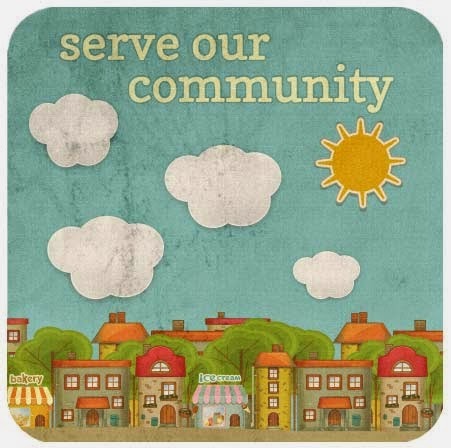 Serve Our Community is THIS Saturday, April 25, 8:00am – noon. We’ll gather together at 8:00 for a continental breakfast, time of prayer and instructions, then at 8:30 we’ll go out wearing our Twin Cities Cares t-shirts and blanket our community with the love of Jesus. We have around 20 different projects we’re going to engage in together as we step out and serve. You can sign up by contacting Angel @ ext. 400, or you can just show up! Come join us as we serve together. This will be so fun! We’ll continue our “You Drive Me Crazy” series this weekend with a look at how essential it is that each of us take a look at and own the part we have in making our relationships crazy. In order to have healthy relationships, we must all ask how we contribute to relational stress and what we can do to contribute to relational peace. Jesus has made us new, let’s act like it. Saturday Prayer Focus: Red Dog Community Church. Let’s offer prayers for Pastors Guy Prudhomme and Joe Ramey as they lead the church to impact their sphere of influence with the love of Jesus. Pray for unity and passion as they love on their neighbors.